Bush Search and Rescue Victoria is a dedicated volunteer search and rescue service in the state of Victoria, Australia. We participate in land-based search and rescue for persons lost in bush and alpine areas under the direction of the Victoria Police. 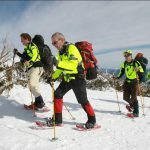 Our searchers include experienced bushwalkers, backcountry and cross-country skiers and mountaineers who have had specialist search and rescue training . We are capable of operating independently in the field for several days. Our BSAR Manual provides information about search and rescue. BSAR has long encouraged members to participate in Rogaines and many members do so regularly. We now offer you a voucher to cover your entry fee for one Rogaine per year. Please note that you must receive the voucher before you enter the event. 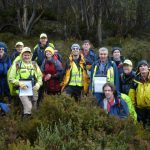 Bush Search and Rescue Victoria is open to members of Bushwalking Victoria clubs and Bushwalking Victoria Individual Members who meet the experience and age entry requirements listed below. 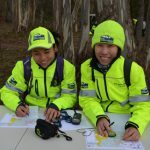 The entry requirements basically ensure that members are competent and experienced bushwalkers, ready to receive specific training in search and rescue techniques. General search and rescue training – held each year over a weekend. The format rotates following a three year cycle: bush, snow, bush incorporating a Rogaine. This is open to all members and Prospective Members. 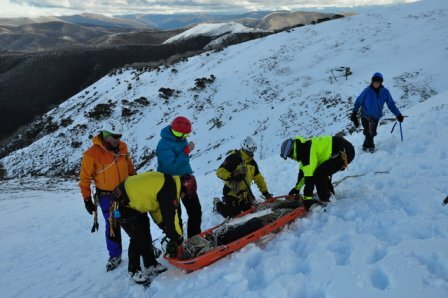 Alpine search and rescue training – held each year, for members with alpine skills and experience. This specialist training is not required for all BSAR members.